At the pre-hearing conference, parties and participants were identified and a date for the hearing was set. City Council, at its March 26th session, adopted a "Request for Direction Report" which outlines the issues Community Planning finds with the development proposal. Over the next year, parties and participants need to hone their arguements and collect their evidence, mostly photos or videos of the points they intend to make. Anyone interested in assisting in this endeavour can email us at gdnatoronto@gmail.com to be included in future correspondence. An OMB pre-hearing is the forum at which one declares one's intention to be a “party” or as a “participant” at the hearing proper. To support those interested in what is involved or those wanting to challenge this development proposal, the GDNA intends to conduct a workshop where options are presented, experiences are shared and approaches are evaluated. Interested individuals are encouraged to email gdnatoronto@gmail.com and a date/time/location, satisfactory to the respondents, will then be fixed. 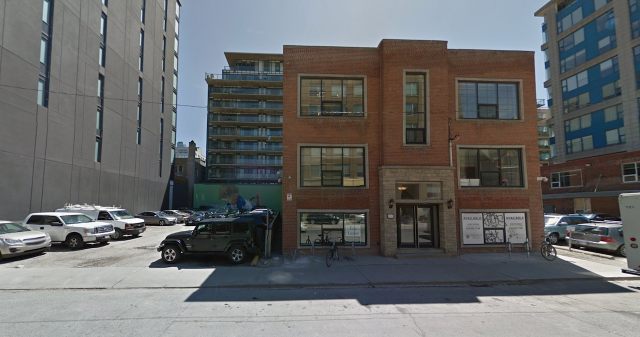 The rezoning application for this site at 457 Richmond Street West has been appealed to the OMB. 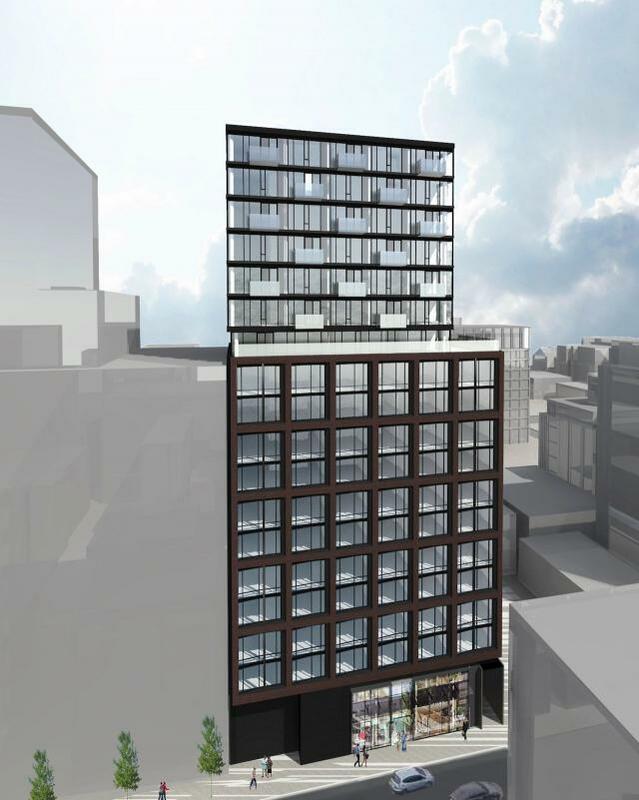 The City intends to oppose. 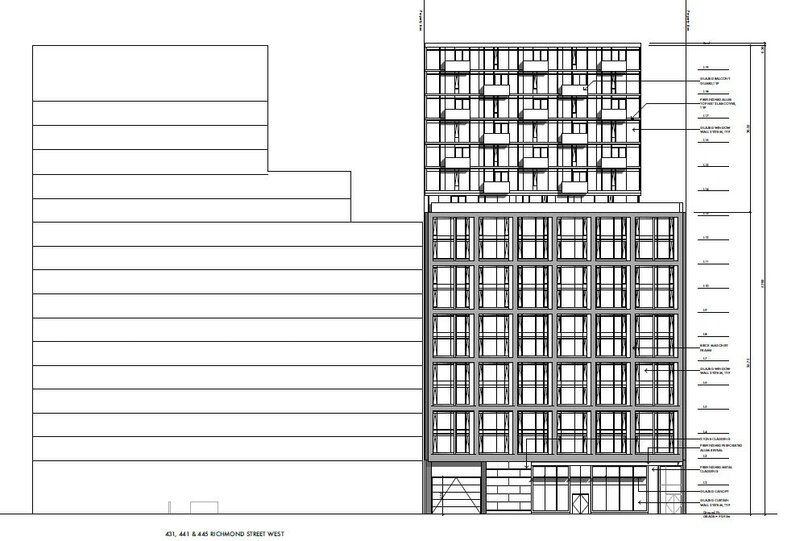 Currently a parking lot (451 Richmond) and a 3-storey brick building (457 Richmod) constitute the site of this new development proposal. 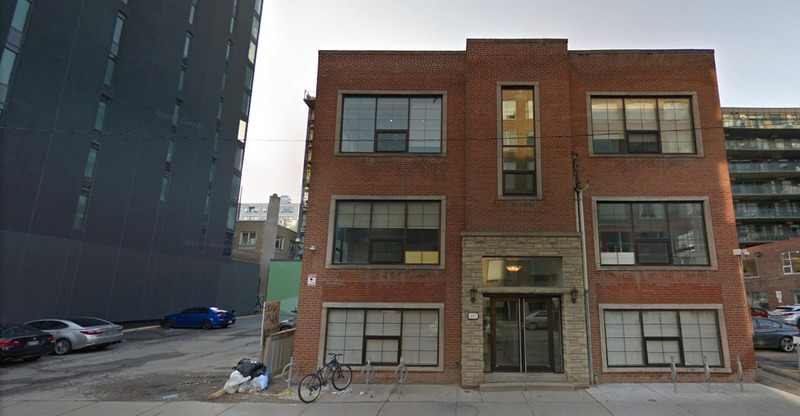 The developer did not meet with the Councillor's office before submitting the application ... so no opportunity for a pre-application community consultation meeting. However an official public meeting will be scheduled for early 2017.